The relationship between Disney and the various companies that comprise Nestle goes back decades, as far back as Carnation hosting the Main Street Ice Cream Parlor at Disneyland beginning in 1955. Far beyond the American shores, Nestle was also one of the twelve founding sponsors of EuroDisneyland, now known as Disneyland Paris. 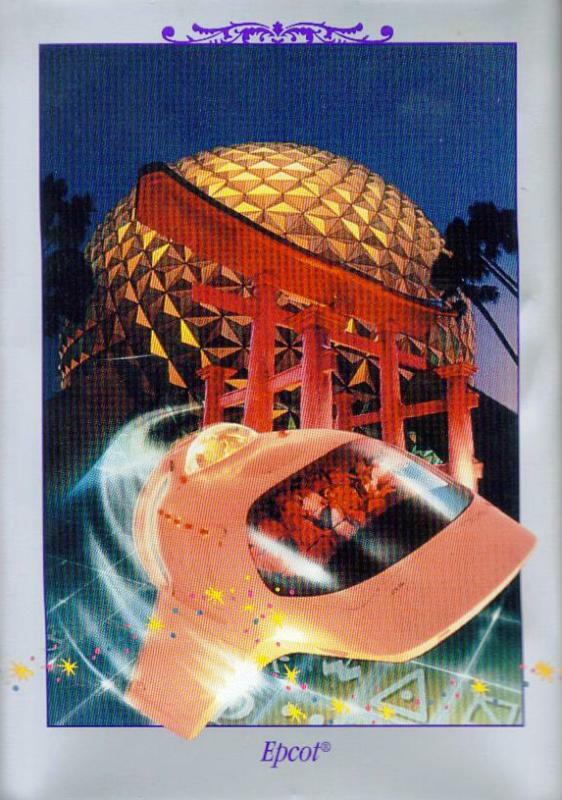 When a new partnership was announced in 1992, which would take effect on 1 January 1993, it not only deepened the relationship between the food and entertainment giants, but it had a profound impact on one of EPCOT Center’s original pavilions, The Land. The Land, known for its technologically advanced greenhouses, a strangely alluring Audio-Animatronics show, and a film depicting the nature of humankind’s relationship with the world around them, would undergo a staggering change in the first few years of the Nestle’s new sponsorship. The first changes to The Land pavilion’s attractions came in the renowned greenhouse boat ride in September of 1993, where the opening Symphony of the Seed scene, closing scene, and marquee Listen to the Land song were all removed. Listen to the Land was renamed Living With the Land and opened with a new rain water opening, new score, and a new global ending. Following this change, the refurbishment of The Land continued with the Kitchen Kabaret took its final curtain call in January of 1994. It would be replaced by a similar nutrition based show, this time featuring pop icons as food items. The final change made during this initial refurbishment phase was the Harvest Theatre’s shift from Symbiosis to Circle of Life: An Environmental Fable, a film that spliced scenes from Symbiosis, new footage, and the personalities from The Lion King to present the symbiotic relationship message to a broader audience. 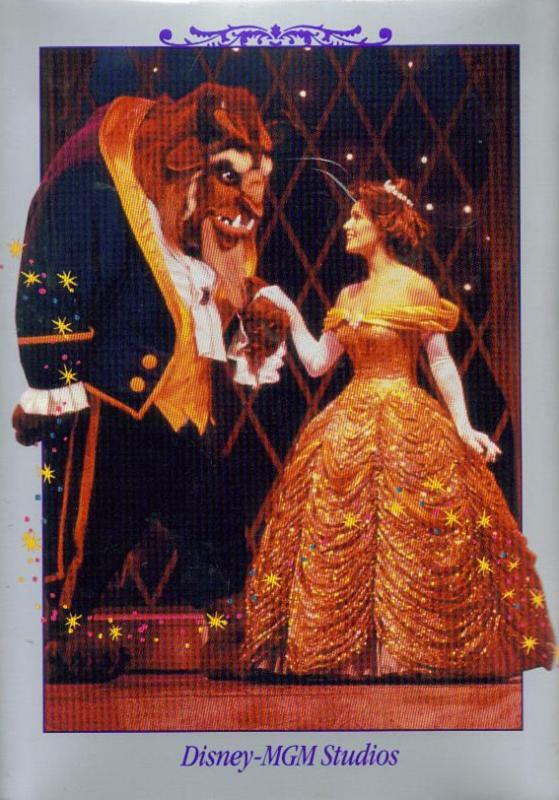 The wide ranging partnership led to tie-ins between the various Nestle foodstuffs and Disney characters and films. 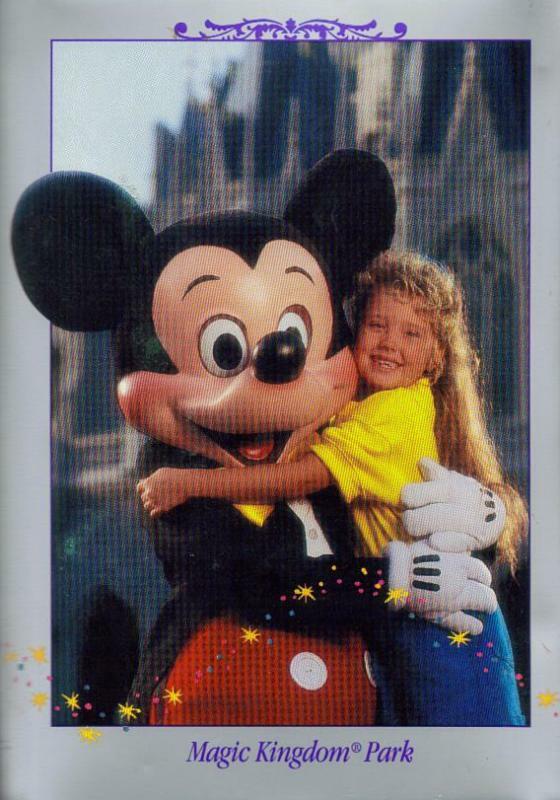 Outside of the theme parks, however, there was very little cross-branding during the boom of the Nestle and Disney partnership. One of the only crossovers was the Toll House Semi-Sweet Morsels commemorative tin, celebrating the 25th anniversary of Walt Disney World. 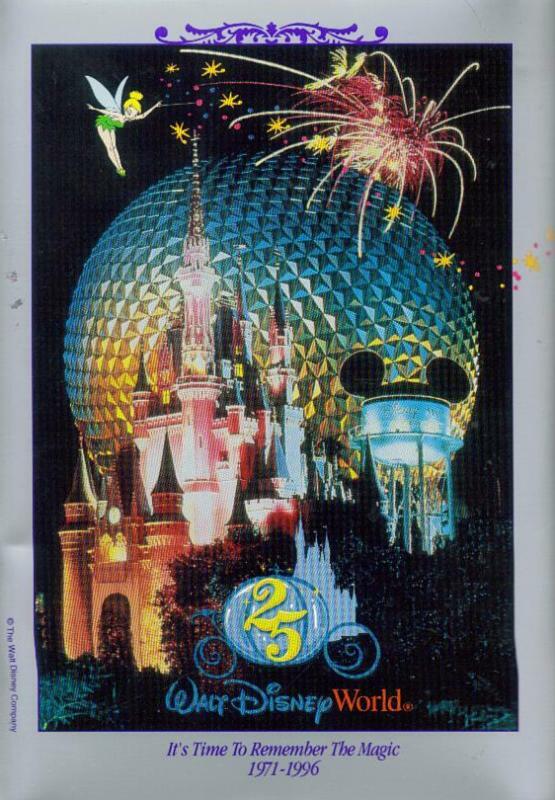 The tin featured a single panel focusing on each of the three parks found in Walt Disney World in 1996, while the fourth panel was an mash-up of images from all three parks. I want to thank my good friend Jaime McKee for seeing this tin and immediately thinking of me. Disney and food, yep, she knows me pretty well! I've been planning on getting this tin on here since you gave it to me, time just really slips away on a person around here though!